The Xiaomi Redmi 5 manages to pack in some attractive specifications. Xiaomi has changed the definition of low-cost smartphones in India. Xiaomi is now the champion of affordable smartphones. The Redmi Note 4 was the best-selling smartphone ever in India last year, making it a tough act to follow. But the Redmi Note 5 and Redmi Note 5 Pro were up to the task with its good value-for-money proposition. 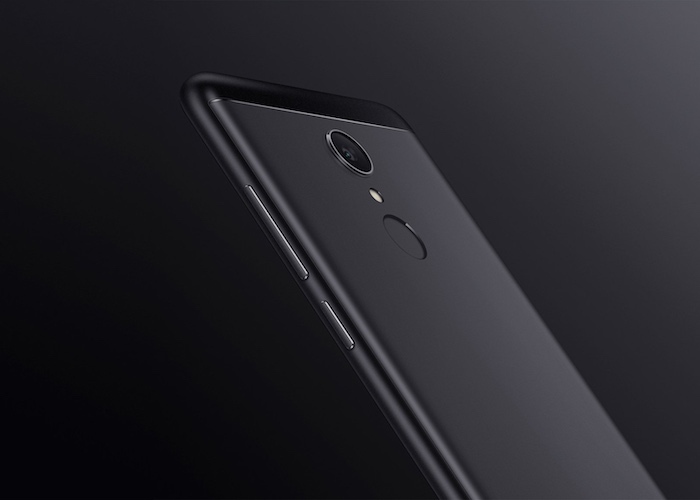 With two high-profile launches in this year already, Xiaomi is rapidly advancing towards its goal of capturing the low-cost smartphones and consumer durables market. Today, Xiaomi has launched the Redmi 5, the follow-up to their highly successful Redmi 4. The Redmi series is Xiaomi’s ultra-affordable smartphones series which offer decent specifications at extremely attractive prices. The Redmi 5 is no different. It is an attractive-looking smartphone with specifications that match its price points. So let’s take a look at Xiaomi’s attempt to replicate their Redmi series success with their latest offering. Dimensions: 151.8mm x 72.8mm x 7.7mm (H x W x D); Weight: 157gm. Dual SIM; Expandable Storage via MicroSD Card. 4G VoLTE; Wi-Fi 802.11 b/g/n; Bluetooth V4.2; GPS with A-GPS; 3.5mm Audio Jack; IR Blaster. 5.7-inch HD+ Display; 1440 x 720 Pixels; 282 PPI; 18:9 Aspect Ratio; 450-nit Brightness; 72% NTSC Gamut. Octa-core Qualcomm Snapdragon 450 Processor Clocked At 1.8 GHz. ; Adreno 506 GPU. 2GB RAM + 16GB Storage; 3GB RAM + 32GB Storage; 4GB RAM + 64GB Storage. Accelerometer; Ambient Light Sensor; Gyroscope; Proximity Sensor; Fingerprint Sensor. 12-megapixel Primary Camera; 1.25-micron Pixels; f/2.2 Aperture; PDAF; HDR; LED Flash. 5-megapixel Selfie Camera; LED Selfie Light; Face Recognition; Smart Beauty 3.0. Available in 4 Colour Variants: Black, Gold, Lake Blue and Rose Gold. Xiaomi has recently introduced ‘Dual Pyrolytic Sheet Technology’ in their smartphones for better heat dissipation which is specially optimised for Indian weather conditions. The Redmi 5 also gets this tech and is a good value-addition to the smartphone. The display has rounded corners, which is now a common theme on all Xiaomi’s latest smartphones. The display also features an ‘Eye Protection Mode’ which cuts out the blue light and thus reduces the stress on the eyes. The 5-megapixel selfie camera with its dedicated selfie light will be a delight for selfie-enthusiasts. 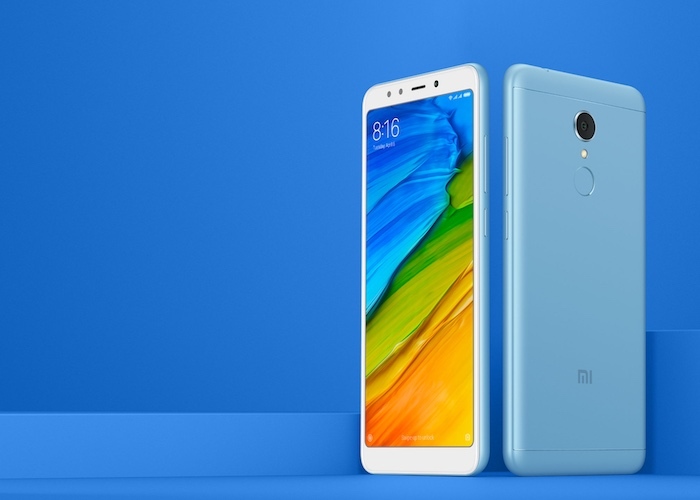 Where the Redmi Note 5 series was a Flipkart exclusive, the Redmi 5 is going to be an Amazon exclusive, apart from availability on mi.com and Mi Home Stores. Interestingly, while Amazon is displaying all the 3 variants, the 64GB version is missing from Mi’s own website. It will be available at Xiaomi’s offline retail partners at a later date. There are some launch offers bundled with the Redmi 5 which can be availed at the time of purchase. Instant cashback of Rs 2,200/- and 100GB additional data from Jio. A flat discount of 90% up to Rs 400/- on the first e-book purchased from Amazon Kindle. A 5% cashback on SBI credit card on Amazon India and mi.com. Xiaomi is flying high on the success of the Redmi Note 5 smartphones and the smart TVs. It is hoping to emulate the Redmi 4’s success with its next iteration. Looking back at Xiaomi’s track record, it would be safe to assume that the Redmi 5 stands a fair chance to be successful and to sell in large numbers. Do you find the Redmi 5 exciting? Will it be your next smartphone? Let us know in the comments below. "Xiaomi Redmi 5 Launched In India; Price, Specifications & More! ", 5 out of 5 based on 3 ratings. 4GB RAM + 64GB Storage at Rs 11,000 destroying other smartphones market share ! This is the perfect mid range device for users ! I am still wondering which device will users buy now – Redmi Note 5 or Redmi 5 only.